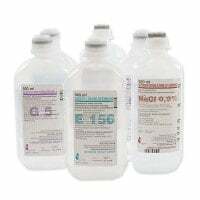 Infusion solutions are used in surgeries, hospitals and emergency services as carrier solutions for various medications, or as volume replacement. 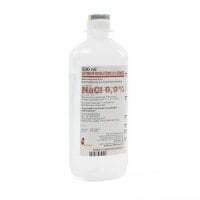 In our online shop, you will find the proper infusion solution and accessories to meet your infusion therapy needs. 37,03 EUR* Not ready for shipping. Reserve today and we will ship as soon as possible. 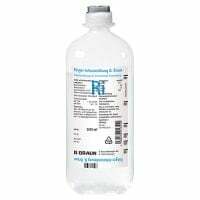 Infusion solutions are not only useful as volume replacement for fluid loss (volume therapy), but are also great as a carrier solution during intravenous medication administration. Furthermore, infusion solution can also serve to hold vein entrances open. 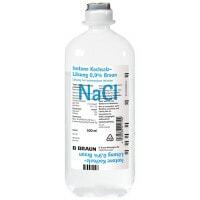 The most well-known infusion solutions are the isotonic, sodium chloride (NaCl) solution, the Ringer solution (electrolyte solution) and Sterofundin. 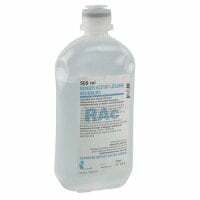 With Praxisdienst, you have a large selection of infusion solutions and electrolyte solutions for various uses. 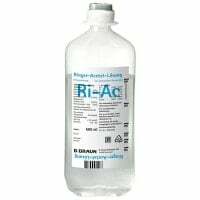 Included in our assortment, for example, is glucose solution 5%, Sterofundin, Gelafusal, Ringer lactate and Ringer acetate solution. All of our offered infusion solutions are either filled in PE bottles or PP bags and can be easily mounted on all common infusion stands. 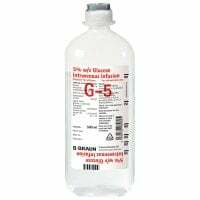 As opposed to glass bottles, the plastic infusion bottles have a much lower risk of breaking and causing injuries, as well as a lower weight, which makes them ideal for use on house calls. 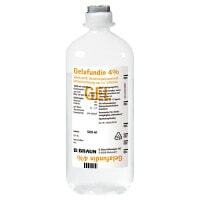 Buy affordable infusion solutions and the compatible infusion therapy accessories from renowned brands and manufacturers like B. Braun and Serumwerk Bernburg! 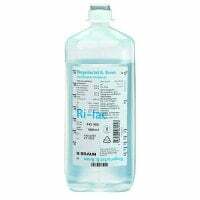 In addition to suitable IV catheters and cannulas, you will also find diverse disinfectants for preparing the entry point.